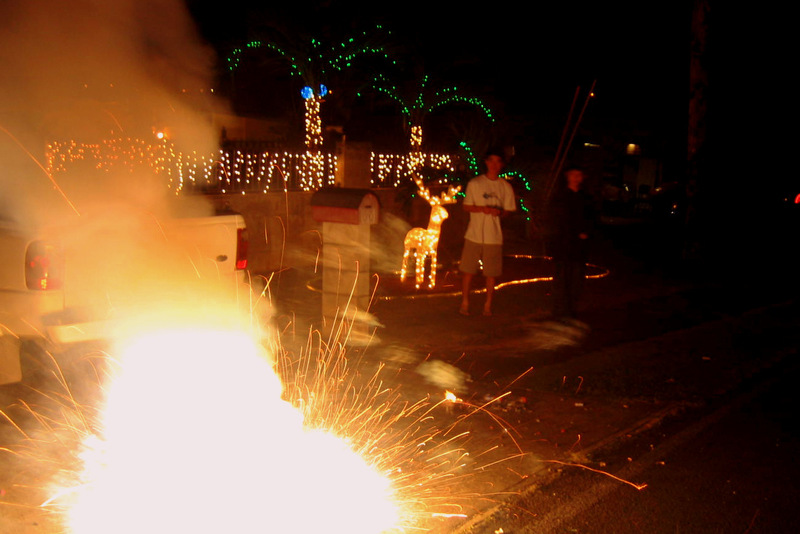 Exploding fireworks during New Year’s Eve in Hawaii. Hawaii celebrates the New Year in a way uniquely different from the rest of the country. More so than the rest of the US, Hawaii’s population is much more culturally diverse. It’s heavily impacted by Asia-Pacific influences. This is not surprising considering its geographic location in the middle of the Pacific Ocean. In particular, Chinese and Japanese traditions have shaped how Hawaii residents celebrate the arrival of the New Year. Here are ways for celebrating New Year in Hawaii. In past years, any newcomer to Hawaii would be surprised over the tremendous amount of fireworks on display in Hawaii, particularly on the main island of Oahu. More so than anything else this is what made celebrating New Year in Hawaii so different. Many individuals would ignite their fireworks on private properties. But because this created fire hazards and smoke, fireworks have been virtually banned in Hawaii. Now people can only explode very small amounts. Honoring longstanding Chinese traditions, people still ignite modest amounts of fireworks to ward off evil spirits for the oncoming year. As in everywhere, there will be parties galore in Hawaii to celebrate the New Year. The star of such parties will always be the foods that families generously dispense. You definitely won’t get those get itty bitty hors d’oeuvre and canapés here. And if you served them, you probably won’t get anybody coming to your next New Year’s party. Hawaii residents like their food and lots of it. As with many things, what distinguishes Hawaii’s New Year party food is its diversity. Serving sashimi or slices of prime raw yellow fin tuna is a New Year’s party staple. Most serve it on a bed of minced lettuce or cabbage, with a horse radish and soy sauce dip. Once the clock hits midnight on the New Year, it’s a Chinese tradition to eat jook. This is a rice porridge garnished with slices of chicken, preserved duck eggs and pickles. While on the day of January 1st, it’s a Japanese tradition to serve the traditional soup of ozoni. It’s a homey chicken broth with a sticky, but sumptuous, mochi or rice dumpling in it. Consuming of such ethnic comfort foods helps to ensure good fortune for the oncoming year. But being in Hawaii during this most festive time of the year, shows you’ve already had some good fortune, right?